If you are reading this, you already know that your dog needs a balanced diet that provides it with all the necessary nutrients and vitamins. But no matter how much effort you put into preparing your pet’s meals, it’s very hard to ensure that all the necessary elements are absorbed through the food. 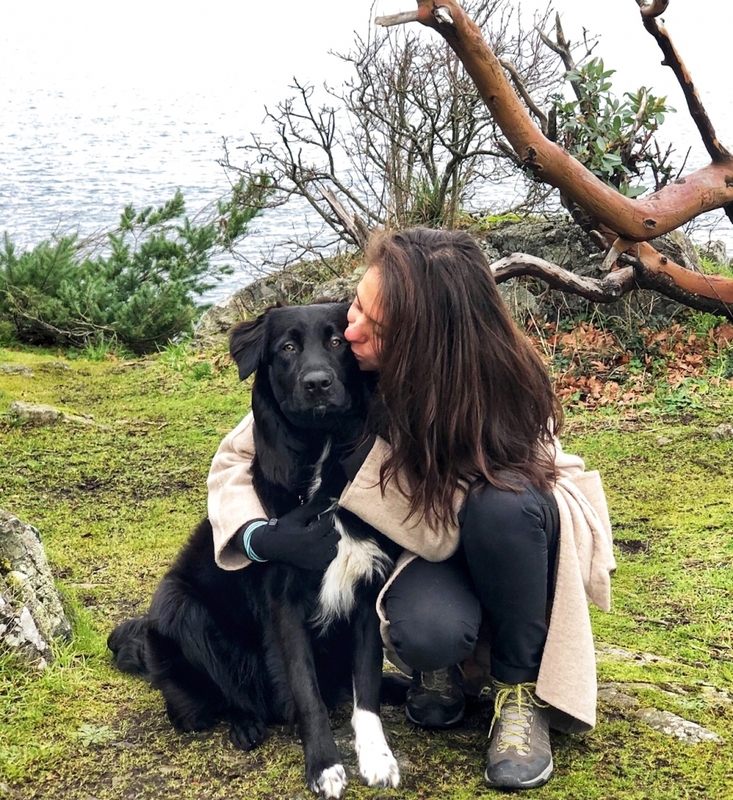 This is why it is crucial to provide your dog with a high-quality supplement that will help boost its immune system, improve skin and fur conditions, heart and liver health and so much more. 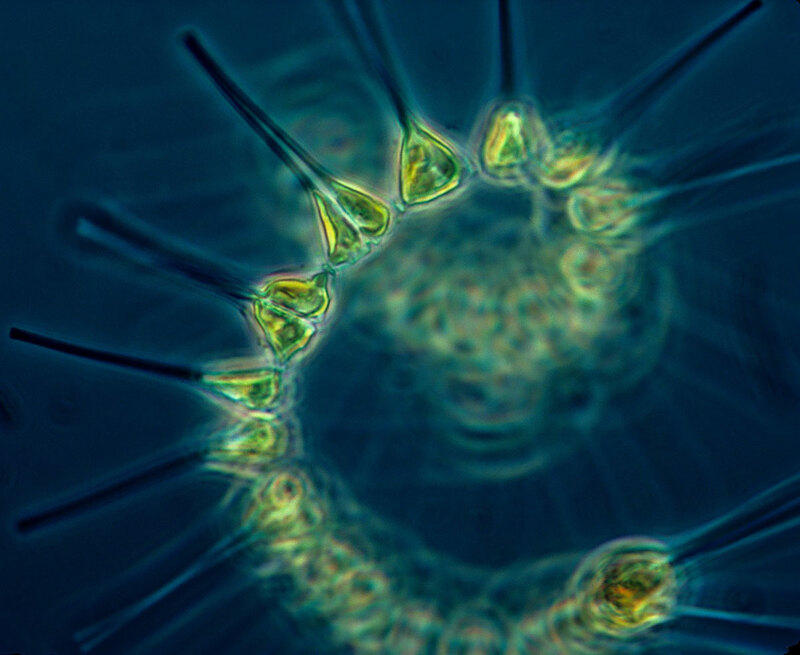 Phytoplankton are tiny, plant-like organisms that all MARPHYL® products are made of. Like land plants, phytoplankton has chlorophyll to capture sunlight, and they use photosynthesis to turn it into chemical energy. They consume carbon dioxide and release oxygen. Phytoplankton is the foundation of the aquatic food web, the primary producers, feeding everything from microscopic, animal-like zooplankton to multi-ton whales. Marine phytoplankton is the foundation of life in the ocean. It has been created by nature and has been a keystone element of nutrition forever since. On land, the air we breathe is largely provided by the oxygen that is produced by marine phytoplankton through photosynthesis. What are the benefits of phytoplankton? Phytoplankton is rich in trace minerals, antioxidants, carotenoids, essential amino acids, beta-carotene, chlorophyll, DHA, EPA, macronutrients, proteins, fatty acids, including omega-3 and omega-6 with a concentration of vitamins A, B1, B2, B3, B5, B6, B12, C and E.
Many people realize that their pets need Omega-3 fatty acids in their diet to help them with allergies, skin problems, heart and kidney disease, arthritis and other health issues. Unfortunately, many supplement Omega-3 fatty acids through fish oil, but it can be rather harmful to pets. Fatty acids in fish oil are prone to oxidization which can cause inflammation. Fish can contain mercury and other heavy metals, PCBs and other toxins. Fish oil, in general, is a controversial topic because of the overfishing and the harm that the fishing industry does to the environment. Phytoplankton is a perfect source of Omega-3 and fatty acids DHA (docosahexaenoic acid) and EPA (eicosapentaenoic acid), nearly double as in fish oil. According to the National Institute of Health, research has shown benefits of Omega-3 fatty acids for heart health, neurodevelopment, cancer prevention, joint issues, allergies and more. Minerals like chromium, copper, iodine, iron, selenium, and zinc are called trace minerals because your body requires very small amounts of them each day. These trace minerals are essential for the proper functioning of our dogs’ bodies (and ours, too). Natural foods are the best source for both macro – and – trace minerals. But as you know it with your own diet, it’s very hard to accommodate all the necessary elements in every meal. That is why it is very important to supplement your 4-legged friend with trace minerals every day. Phytoplankton is rich in trace minerals that are easily absorbed by your dog’s digestive system. Our bodies are battlegrounds against infection and diseases. Normal body functions, such as breathing or physical activity, and other lifestyle habits produce substances called free radicals that attack healthy cells. When these healthy cells are weakened, they are more susceptible to cardiovascular disease and certain types of cancers. Antioxidants — such as vitamins C and E and carotenoids, which include beta-carotene, lycopene and lutein — help protect healthy cells from damage caused by free radicals. The majority of dogs are exposed to harmful environment pollutants such as pesticides, insecticides and even cigarette smoke. 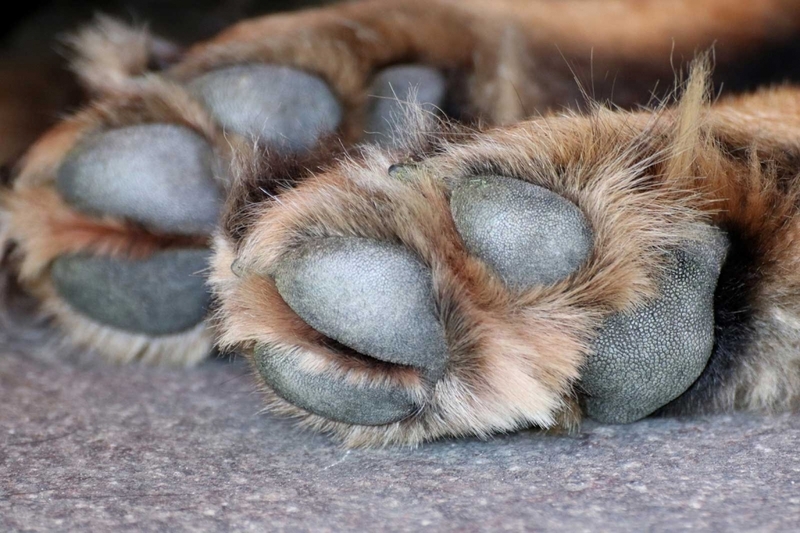 All of that causes free radicals to release and cause oxidation in the dogs’ bodies. Phytoplankton is rich in antioxidants. When your dog’s diet has a sufficient amount of antioxidants, your friend has higher chances of avoiding arthritis and joint problems, skin rashes and allergies, respiratory problems, autoimmune disease, heart disease and cancer. SODs are among the first line of defense in the detoxification of products resulting from oxidative stress. Research has shown a therapeutic potential of SOD for cancer, inflammatory diseases, aging, ischemia, rheumatoid arthritis, neurodegenerative diseases, and diabetes. 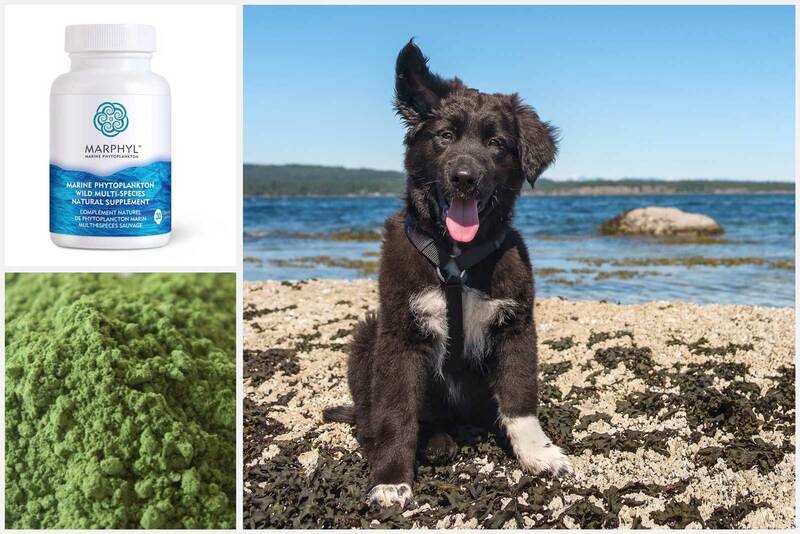 Phytoplankton is a whole food, which means that your dog’s body will be able to absorb all the vitamins and nutrients from it without the need to digest it first. It is especially valuable for the dogs that have digestive issues or bowel disease. Also, the body absorbs and utilizes nutrients derived from natural plants more efficiently than it does from any synthetic nutrients. Marine phytoplankton is found in all oceans around the world, but it thrives in the waters of the Strait of Georgia on the east coast of Vancouver Island in British Columbia, Canada. The pristine waters of the Strait offer a unique marine environment, like no other in the world. The water from snowmelt in the mountains of Western Canada provide a high content of minerals and nutrients contributing to an abundant and diverse production of marine phytoplankton. This area is among the most biologically productive marine ecosystems in the world for phytoplankton, fish, marine plants and mammals. We source MARPHYL® Marine Phytoplankton from this body of water. Is it sustainable and eco-friendly? 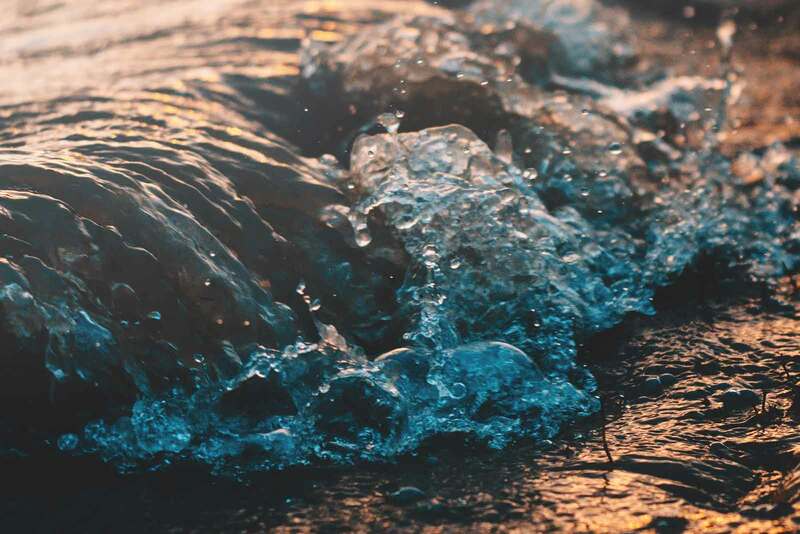 MARPHYL® Marine Phytoplankton respects the ocean, the phytoplankton natural source, and maintains the balance of phytoplankton in the Pacific Ocean. The ocean water gets pumped into tanks adjacent to the Pacific Ocean, where the phytoplankton naturally reproduces in big quantities (more than 100 million per tank). This reproduction process occurs on Vancouver Island under natural sunlight and environment. During the harvesting and growing stage – in big quantities – of this amazing form of life, the process removes tons of CO2 from the atmosphere, which is shown as a massive production of oxygen. 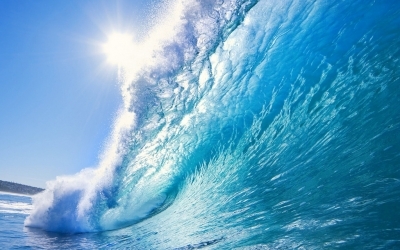 A tank of one million litres of ocean water can produce the equivalent oxygen of one forest hectare. The process releases the oxygen equivalent to a 7-hectare forest. When the water first comes in, one millimetre of water contains approximately 800 cells of marine phytoplankton, which will start multiplying as a result of the natural sunlight and the natural surrounding environment. 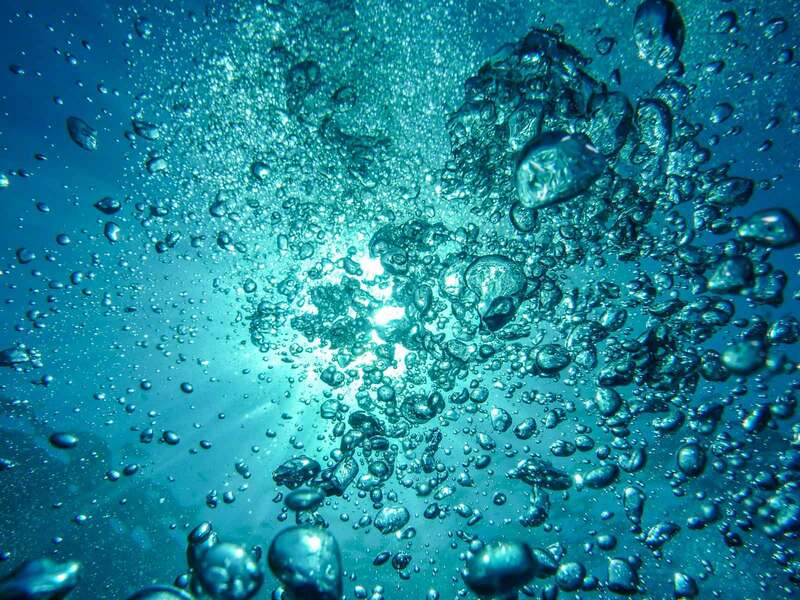 At the harvesting stage, one millimetre of water has approximately 128,000,000 cells of marine phytoplankton. The remaining water is released back into the ocean with the same amount of phytoplankton that was originally taken, as this original number of cells per millimetre belongs to the local marine ecosystem. The production plays an important role in the marine environment. The above process does not affect in any way the natural balance of the surrounding marine ecosystem nor any living creature. What is the supplement comprised of? With confidence, we can say that MARPHYL® Marine Phytoplankton is superior to every other types of phytoplankton available in the market. MARPHYL® Marine Phytoplankton represents all the phytoplankton species available in the waters of Western Canada, while other types available in the market represent only one specific species and are often raised artificially. Therefore our product is the only one that provides all the nutrients and benefits of up to eighty different types of marine phytoplankton. As Phytoplankton is packed with nutrients, you need to add very little of it to your dogs daily diet. 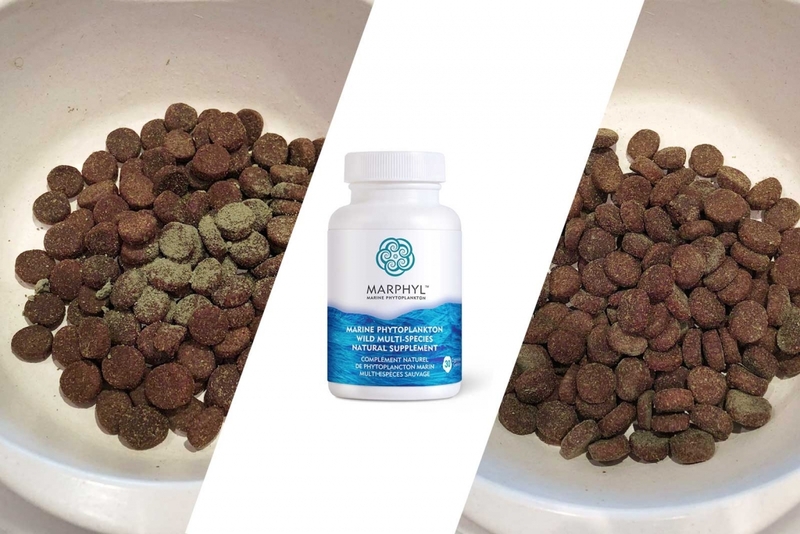 For a dog of 55lbs (25kg) you need between 1/4 and 1/2 of a capsule (or 1/8 to 1/16 of a teaspoon) of MARPHYL® Marine Phytoplankton Natural Supplement. 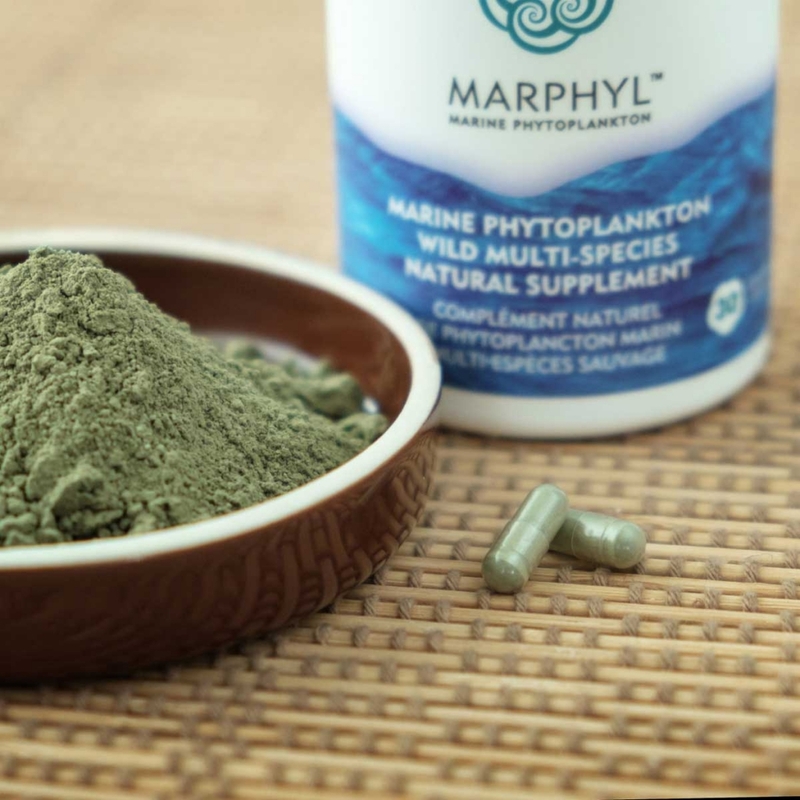 Stay tuned for more informative articles like this one by following MARPHYL Marine Phytoplakton on Instagram and Facebook and by subscribing to our Newsletter. Do you have a question about phytoplankton? Or maybe you want to suggest a person or a topic for our next blog post? Leave a comment below!